NoNeedForAKey wrote: A bit late to the party here but these are the locks in my collection that have been getting to me the most. .... Is that Squelchtones Hi Shear? What seems to be the problem with the Corbin? Riyame wrote: .... Is that Squelchtones Hi Shear? Yes it is! How did you know? Oldfast wrote: What seems to be the problem with the Corbin? 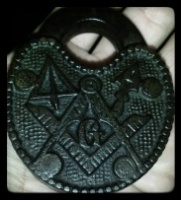 That is a Corbin Emhart so it feels pretty weird and the bitting is making it pretty hard. It is a Jedi secret young one. You will learn in time. Yeah that makes sense! Hopefully soon I can get the damn thing open. Oh wait, nevermind. I was referring to the Illinois DUO on the far left... mistaking it as a Corbin. Yeah it isn't easy! And my girlfriend got me that Illinois DUO for Christmas and I still haven't opened it. The lock hates me but I love it! Ok, here are just some of my unpicked locks. There are: 2xDom, 2x Assa 700, 2xPrimus, Multilock, Kaba ExperT, Best sfic, Chubb Ava, Simplex car lock, Medeco padlock, and my Nemesis S&G 826D. My current unpicked locks are a yale dimple lock and a medeco core. I'm not used to dimple picking yet and haven't had the time to really sit down with the yale. I've seen other videos making pretty quick work of it, so I know it can't be that tough. I've also not had a whole lot of time to play with the medeco. Hopefully I'll get some time to mess around with them soon! 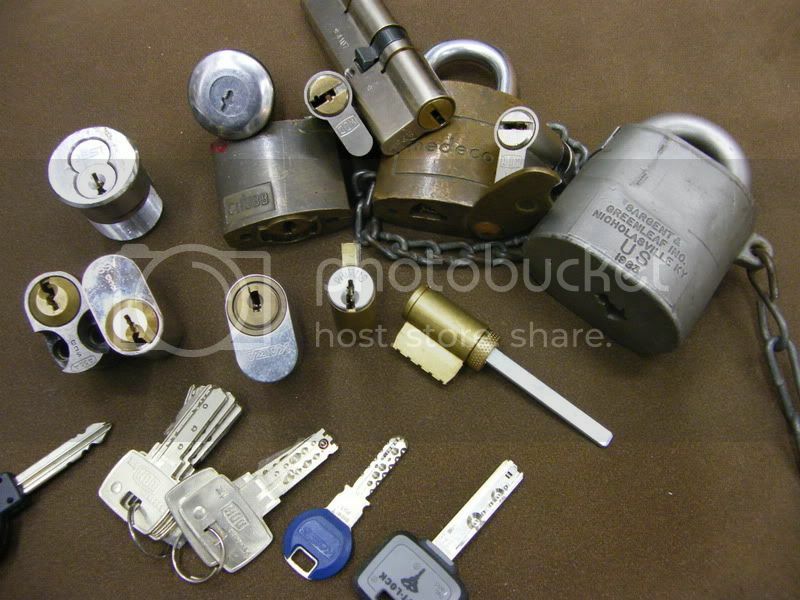 Wizer wrote: Ok, here are just some of my unpicked locks.